National Ultrasound carries the latest ultrasound machines and parts with cutting edge technology that improves practitioner’s care and treatment time. 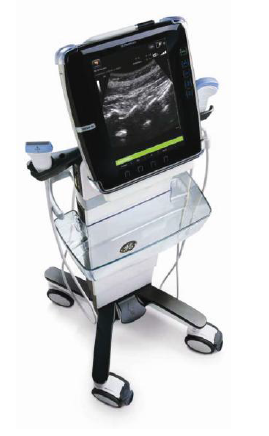 GE’s Venue line of portable ultrasound machine systems uses Pinpoint™ GT technology for precise needle guidance. With a smooth and crisp tablet display with a simple and quick interface, the Venue line provides an intuitive user experience to improve the quality of patient care. Browse our selection below, and contact us about any products you see or don’t see, or click “Get a Quote” to get pricing information on any of our systems. If you don’t see a specific system you are looking for, contact us to ask about available stock. Current GE Venue models include the Venue 40 and Venue 50. Contact us today for information on new or refurbished models.